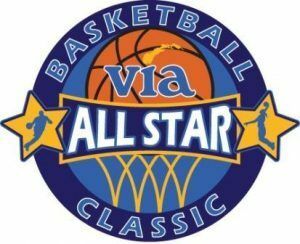 The 44th Annual Via All-Star Basketball Classic is an elite sports event featuring the finest basketball talent in the greater Lehigh Valley. The Classic raises funds to support Via of the Lehigh Valley’s services for children and adults with disabilities, showcases the basketball talents of our area student athletes, and educates attendees about Via and the need for community support through financial, partnership and advocacy support. The Via All-Star Banquet recognizes members of the Via All-Star teams, Players of the Year, Teams of the Year, awards scholarships for student athletes and inducts members into the Lehigh Valley High School Basketball Hall of Fame.